The Regrettes are bringing the punk to HOB San Diego this Friday (7/7)! 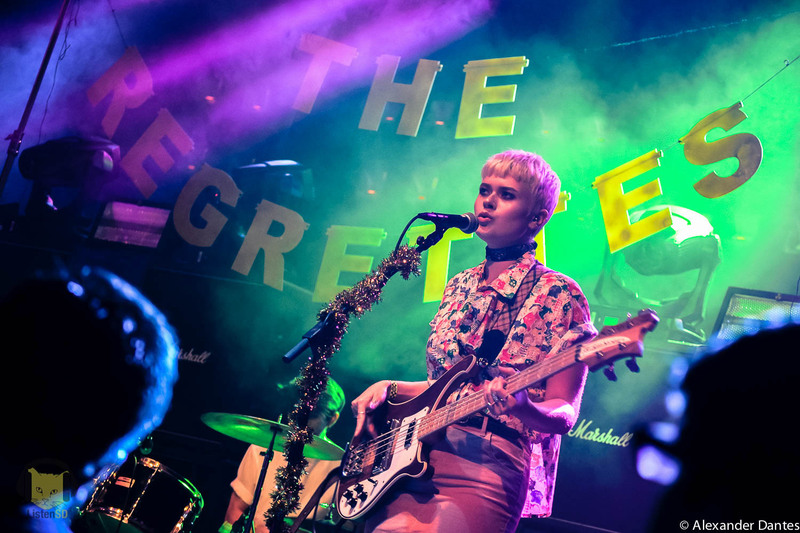 This Friday (7/7), don’t miss rising punk act The Regrettes at House of Blues San Diego. Having quickly generated major buzz during the last year, the group signed with Warner Bros and released their debut album, “Feel Your Feelings, Fool!”, earlier this year. Having already played festivals such as When We Were Young and Echo Park Rising, this young group is not be underestimated. The four-piece band released their first single “A Living Human Girl” to rave critical reviews and have been making headlines ever since. Fronted by Lydia Night, along with bassist Genessa Gariano, guitarist Sage Nicole, and drummer Maxx Morando, this group’s tunes are sure to make you think as much as they make you dance. The Paranoyds will be opening up the night and they shred too – so don’t miss out.